Today’s data, and how that data is used, have changed dramatically in the past few years. Data now comes from everywhere—not just enterprise applications, but also websites, log files, social media, sensors, web services, and more. Organizations want to make that data available to all of their analysts as quickly as possible, not limit access to only a few highly-skilled data scientists. 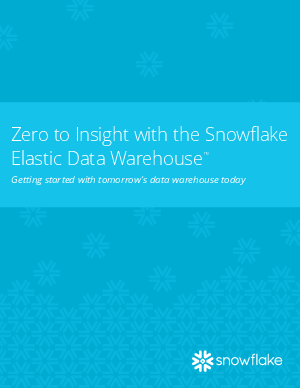 However, these efforts are quickly frustrated by the limitations of current data warehouse technologies. These systems simply were not built to handle the diversity of today’s data and analytics. They are based on decades-old architectures designed for a different world, a world where data was limited, users of data were few, and all processing was done in on-premises data centers.